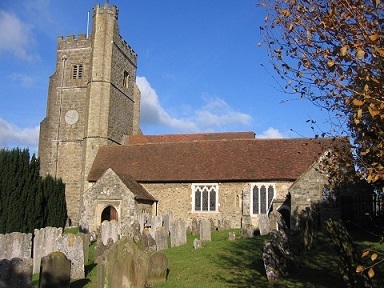 Promising young organist Christian Haigh is playing a free concert at St Peter and St Paul, Seal on Aug 23. The programme will include works by Bach, Vaughan Williams, Brahms and Handel. 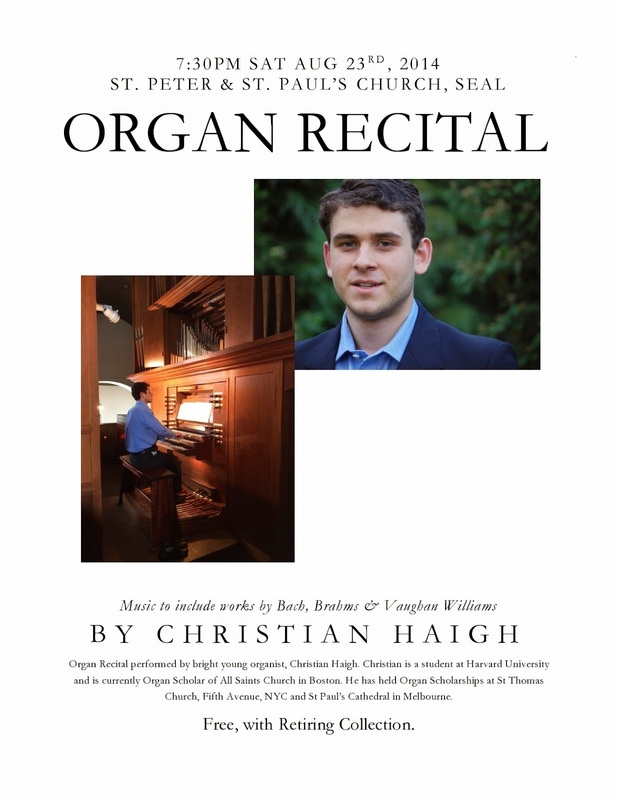 Christian is one of the many young organists who we have encouraged along the way, and it will be good to welcome him back to play. Christian is now a rising sophomore at Harvard University. He studies economics whilst performing as assistant organist at All Saints Church, Ashmont. Last winter, he braved the tundra-like winter of Boston to perform continuo with students from Oberlin Music College, in a series of Bach Cantatas as part of the Bach Institute. Put the date in your diary and come along for a great evening of music. 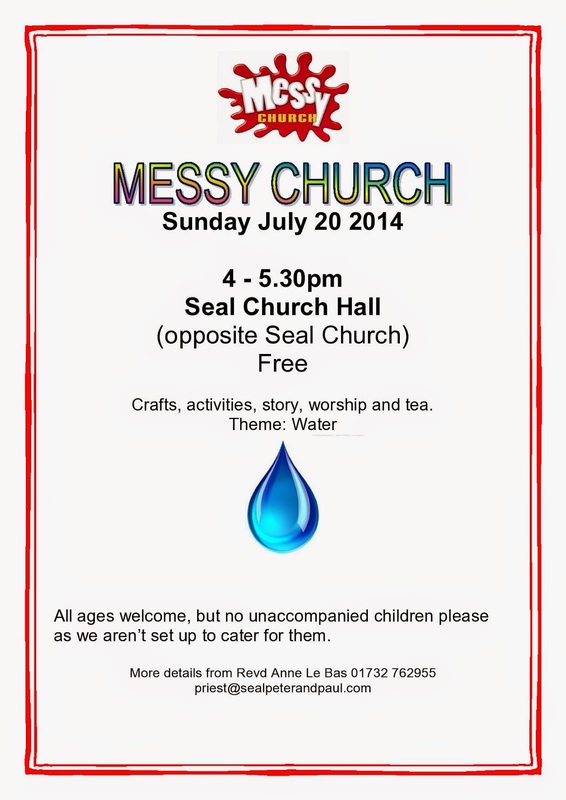 Our next Messy Church session is this coming Sunday - 20th July - from 4 -5.30pm in the church hall, which is on the other side of the road from the church. 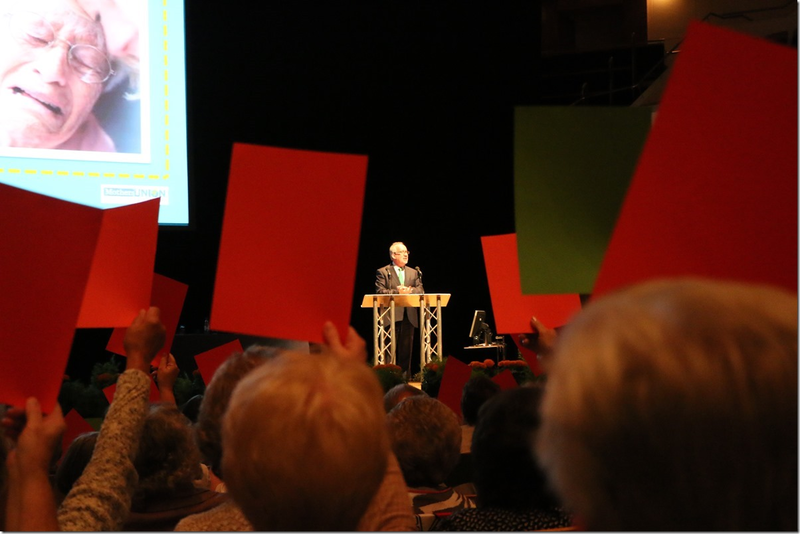 On Monday 14 July the General Synod of the Church of England will be voting on revised legislation to allow women to become Bishops. Please pray for all those involved in debating and voting on this important step in the Church of England’s ministry. We are back! After an unintentional month off from the newsletter here is all the latest news from Mothers' Union. Although I seem to write this every month July is looking very busy for us; this year's Wheels Appeal is now in full force, we are preparing for members week, working on resources for next year's theme and lets not forget, staff are also hard at work training for the Richmond Park Run - why don't you dust of the cobwebs on your trainers and come and join us? 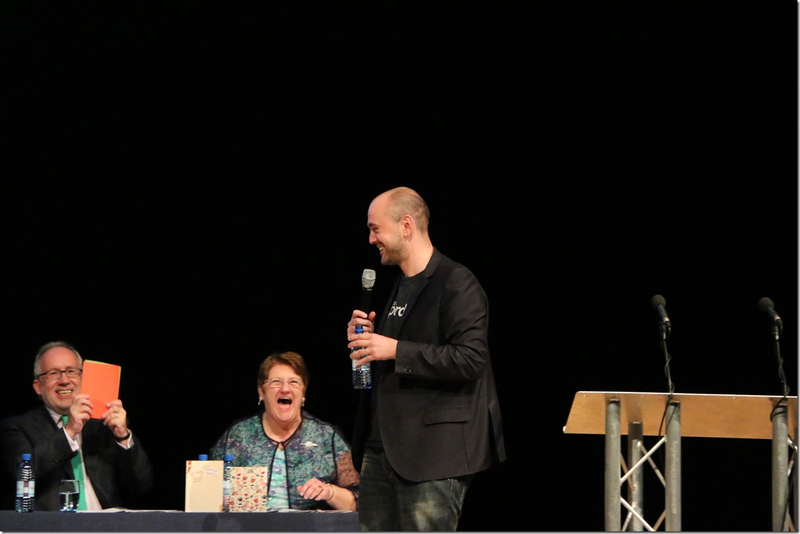 Mothers' Union Theme 2015Mothers’ Union are thrilled to announce that the theme for 2015 will be "United in Prayer"
Thak you so much to everyone who attended this year's meeting. If you did or even if you didn't we want to find out more about your experience so please take the time to fill out our survey. Richmond Park RunWhy don't you join the Mothers' Union this Autumn for the Women Only Richmond Park Run? You can choose of a distance 5K, 10K or 15K and its fine if you want to run, jog or walk. Buggy pushers are also welcome! Join Mothers' Union members across the world in prayer every day with July Midday Prayers. Our following on Twitter has grown rapidly over this year - thank you for your support. Keep informed about our faith motivation and how this is leading us to engage with key policy issues around the world. Visit our online shop, which is full of gifts, jewellery and cards for all occasions. 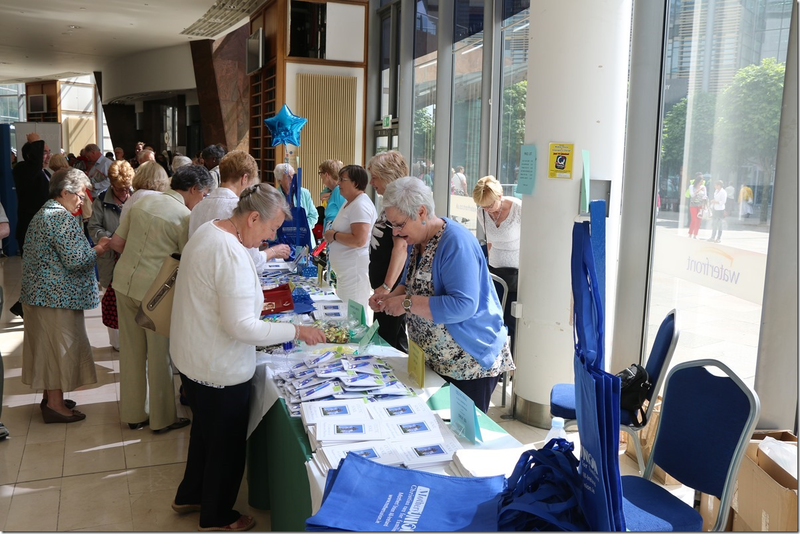 Profits from the shop help to fund Mothers' Union projects across the world. 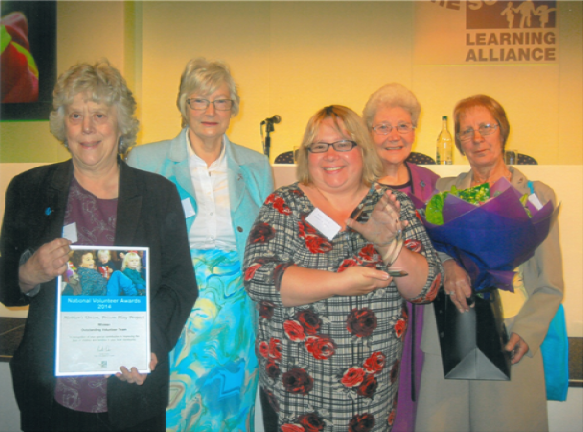 Facebook is a great way to keep in touch with Mothers' Union members from all over the world. Not already subscribed to the enewsletter? It all started so well. People arrived happily and were settling down to enjoy a relaxed afternoon in the vicarage garden. Then the rain started. As the first few drops fell, we embarked on the fastest "gazebo-putting-up" ever seen - fortunately Nicky had this down to a fine art, and the rest of us just did as we were told. We even managed to perfect the technique of putting up a gazebo while standing underneath it! It's not too clear in the photo, but I can promise you that by this stage it was raining quite hard. We hoped it might just be a passing shower, but as it turned out, it rained from 4.10, just after people arrived to 5.50, just before they left...Hmm. Opinions varied on who was responsible for this. Some people thought it was my fault - perhaps I had accidentally offended the ancient spirits of the place in my sermon in the morning. Personally, as a believer in every-member ministry, I thought it was an indication that the laity needed to pay more attention to their prayers - I can't do everything, you know! However, those who came were undaunted, and at least it meant that everyone huddled together and talked to one another, energised by their struggles against adversity (that pesky drip that always seemed to find the back of your neck!). Feedback afterwards seemed to suggest that people had enjoyed themselves anyway - we are made of strong stuff at St Peter and St Paul. The strawberries, as ever, were delicious - thank you Stonepitts farm - and so were the cakes and sandwiches made by our intrepid team of bakers. Many thanks to all who came, baked, put up gazebos (and then more gazebos!). With any luck we might have all dried out by next year.